We appreciate your participation in Delhi Foundation of Deaf Women. There are various ways through which you can support DFDW. You can place an order for the Handicraft Items made by Deaf under-privileged girls. Please contact us to generate a purchase query. To view a list of the products available, please click here. You can sponsor a DFDW Event or a course. To sponsor an event, please contact us and we will get back to you with the list of events where we need help. Also subscribe to our newsletter so that you keep receiving updates on what's happening at DFDW. Here is a list of Friends of DFDW, who have helped us in various ways. 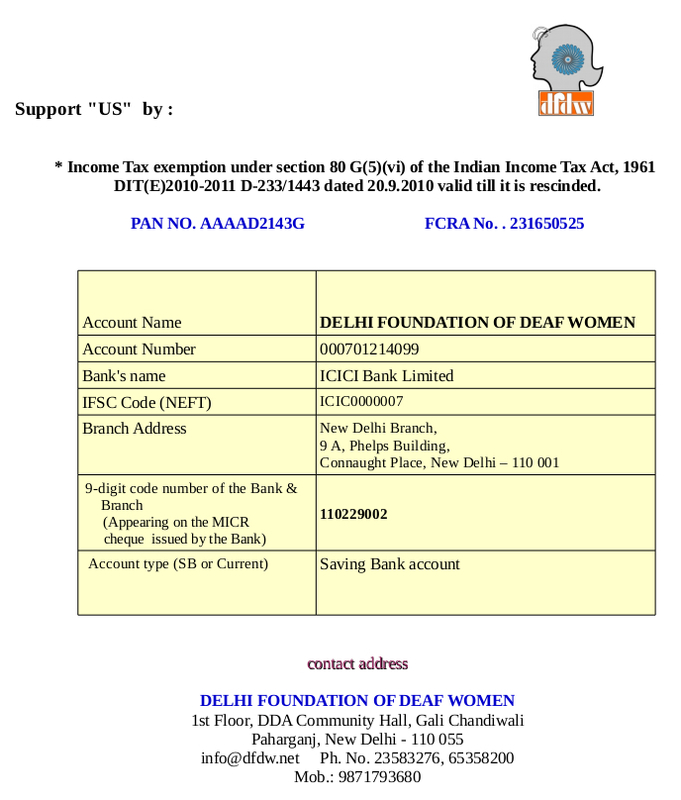 Contributions to DFDW are tax exempt under Section 80G (5)(vi) of the Indian Income Tax Act, 1961. DIT(E) 2010-2011/D-233/1443. dated 20.9.2010 valid till it is rescinded. PAN No. AAAAD2143G. FCRA No. 231650525. 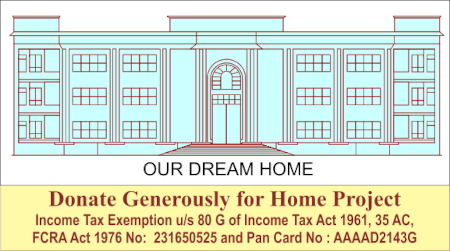 Please inform us once you have made the donations so that we can check the details and send you the Tax Exemption certificate.